Sony's GPS-CS1 Device Will Geotag Your Pics | OhGizmo! Sony’s announced the release of the GPS-CS1, a 3.5 inch long GPS device that will add geographic data to pictures taken with your Sony digicam. It will use the timestamp on your pictures, along with it’s own log of location recordings to apply latitude and longitude information to your pictures, once they’re offloaded to your PC and processed through the bundled GPS Image Tracker software. We imagine it to be important then for both internal clocks to be syncronised properly, less some potential hilarity ensue. This is not the first instance of digital picture geotagging we’ve come across, though previous solutions were a little more ‘spensive. The GPS-CS1 will cost about $150, and be available next month. It’s nice to hear that camera companies are finally starting to think about combining GPS with digital photos, but why are they so slow and cluky with their implementation? The breakthrough here is not in technology, but the fact that someone decided to market a solution to a rather simple problem: match up timestamps in digital photos and GPS data to put an estimated coordinate on each photo. You can do that with any digital camera, any data-logging GPS unit, and a rather simple bit of code. I’m amazed at how slow both camera companies and GPS unit manufacturers are at utilizing bluetooth to make their products talk to each other. I use my HP IPAQ rx3715 which has a camera build in, together with my external Bluetooth GPS, to “tag” the photos with the GPS coordinates. To do this, I snap the photo wih my Ipaq PDA, start the Bluetooth GPS, and use on the PDA the Navio GPS software. The Navio GPS Program displays the GPS LON/LAT data and he Date/Time on the PDA’s ‘Today Screen’. On the PDA Today screen setup, I select the photo which want to Tag as the background photo and with the screen capture program I capture the Today Screen Background Photo, which now has the GPS data displayed on the photo. All this takes only seconds and is done without using a PC. 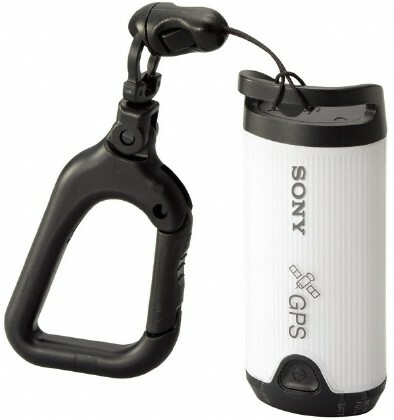 However I am looking forward to try Sony’s GPS-CS1 with my other camera as soon as it becomes available. I don’t know what the first comment is all about, who wants an estimate, GPS should be accurate enough. The thing is although GPS is fab, in built up areas is is not as accurate as Wi-FI triangulation, thus I was excited when Kodak came out with its built in Wi-Fi card (okay, optional add on). Of course the drawback with Wi-Fi being one has to be in a Wi-Fi area, might or might not have to pay for its use and its a battery drain, where as this is a seperate product but still requires a wireless link. * Designed for Google Earth and Google Maps. * Built-in LCD screen provides instant feedback on the status. * GPS Data Synchronization without PC— Patent-pending for the new design. , with more in-depth coverage on our enhanced features. Below is the Graphical Illustration for our Turn Key Application. If you are interested, please contact me @ [email protected]. I'm looking forward to owning one such device. Really helpful for an artist.